This one has been in my line for quite awhile and although it is not a "high tech" design it kills birds very effectively. 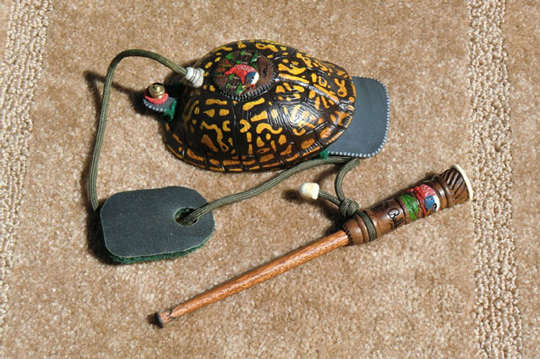 The shell can be made of a real turtle shell that I find, or can be carved out of wood as I must do if I compete in the contest in Tennessee. This is a limited number call because it is very time consuming. These calls are custom made to the customer's specifications. For more information or prices, please call me or e-mail us.